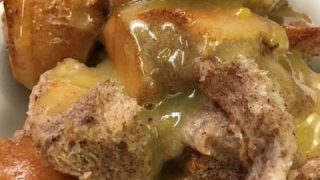 Cinnamon spiced bread pudding with butter sauce is an easy and inexpensive dessert to make for the holidays. 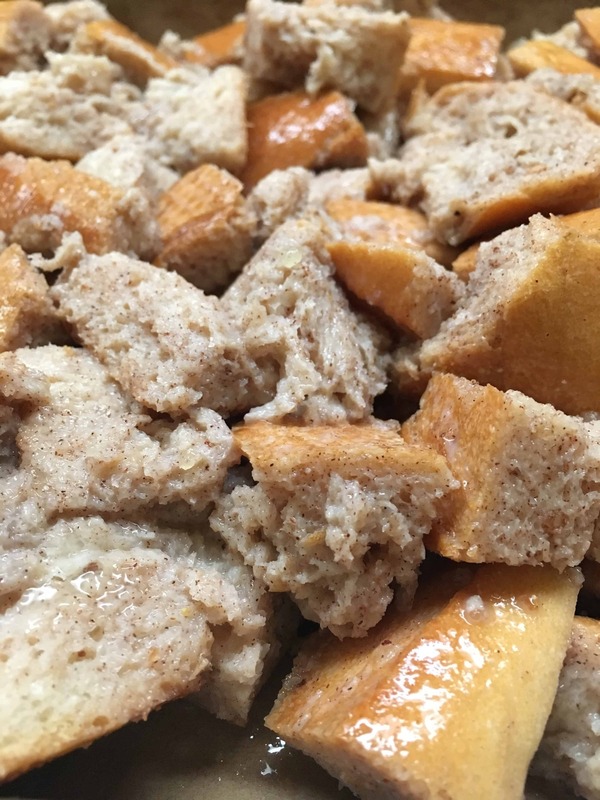 The easy bread pudding recipe takes about five minutes to get it ready and into the oven. 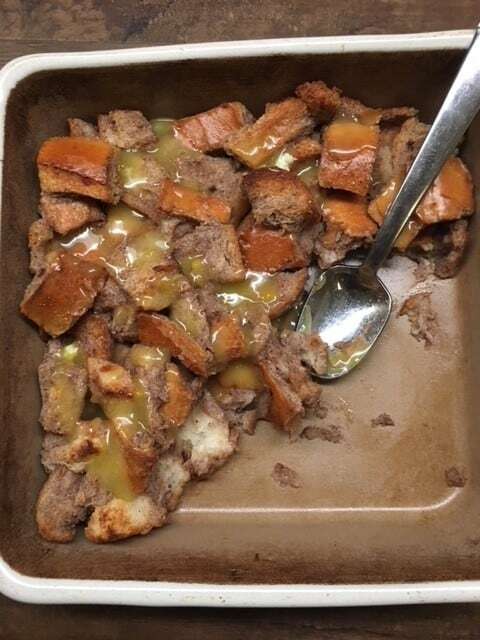 I made this bread pudding recipe, took a bite, and my mouth was seriously happy. 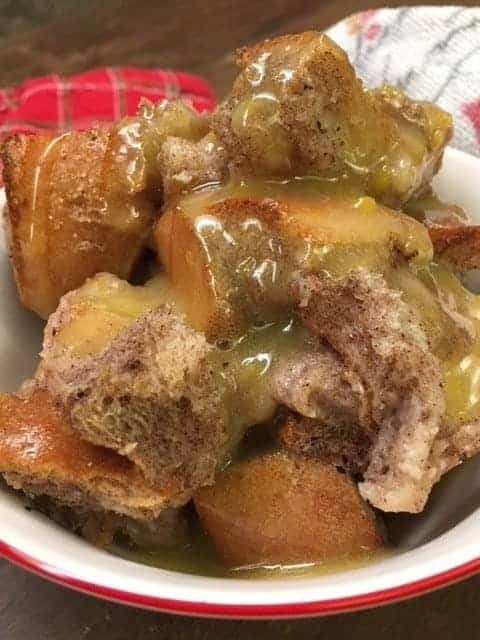 The cinnamon spiced bread pudding with butter sauce made my house smell amazing. 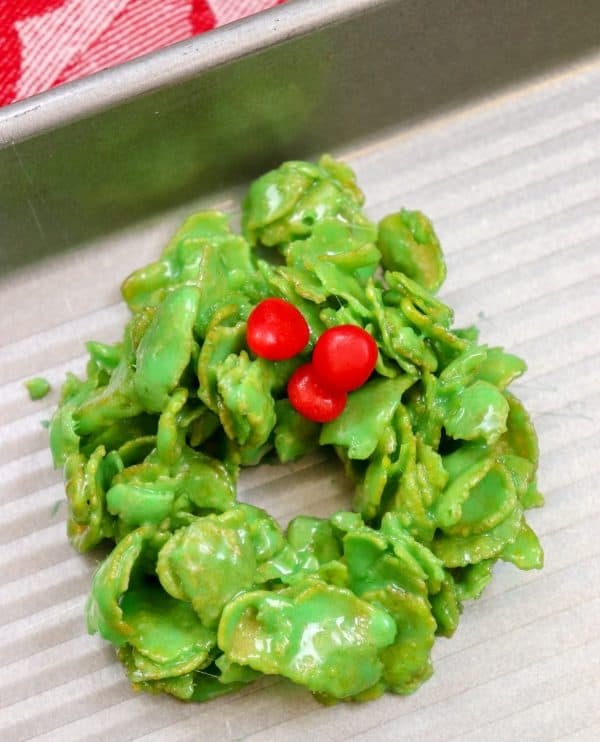 I love this dessert too, because it’s a cinch. It really doesn’t take more than five minutes to whip it up and get it in the oven. You will most likely have all of the ingredients on hand, with the exception of the French bread, which doesn’t cost more than a couple of dollars. 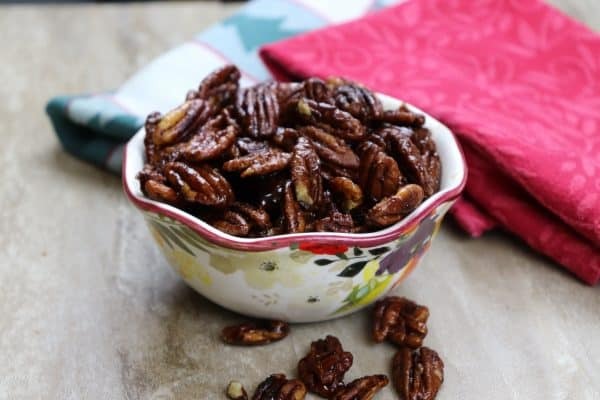 If you’re like me and eating a lot of treats this time of year, and your jeans are getting a little tighter, you can substitute the sugar for a sugar substitute and the milk for skim, and feel at ease about eating it. Recipe and full instructions at the bottom of the post. Here’s where you can use skim milk if you’re watching fat, and a sugar substitute if you’re watching your calorie intake. Just double check the sugar substitute measurements. Sometimes it calls for a little more, or less of the substitute. 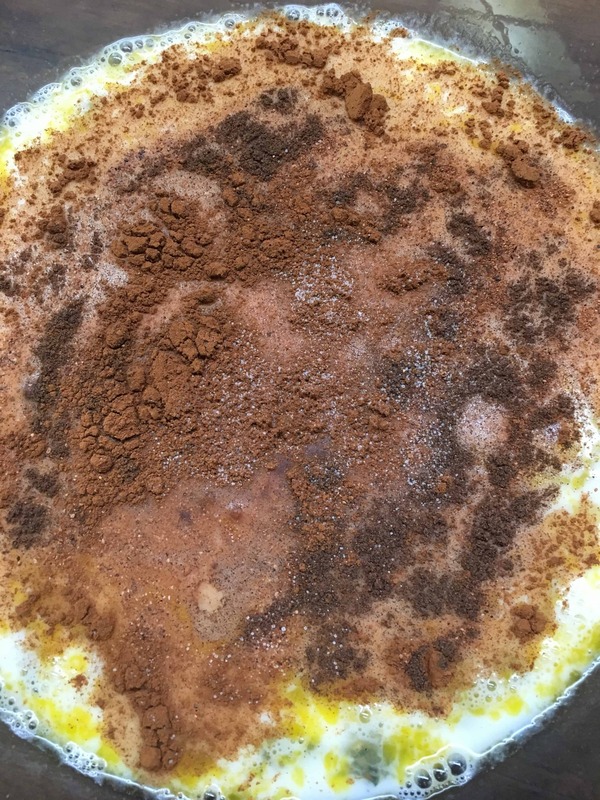 Then, you can add the butter, cinnamon, nutmeg, cloves, salt, and vanilla. A whisk works best for mixing this all together well. Finally, add the bread and toss it around gently to cover it completely with the mixture. Look how pretty this old fashioned bread pudding recipe looks it is when it’s all covered up with the delicious cinnamon mixture! 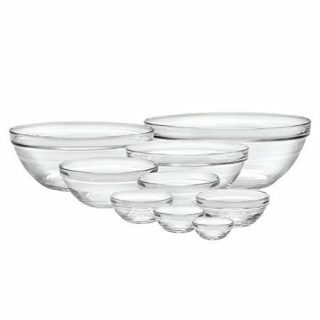 Slide it all into an 8″ x 8″ greased casserole dish and bake for 25-30 minutes on 350-degrees. The butter sauce is just as easy, and believe me, you will want it on top. It completes the bread pudding. Melt the butter in the saucepan. 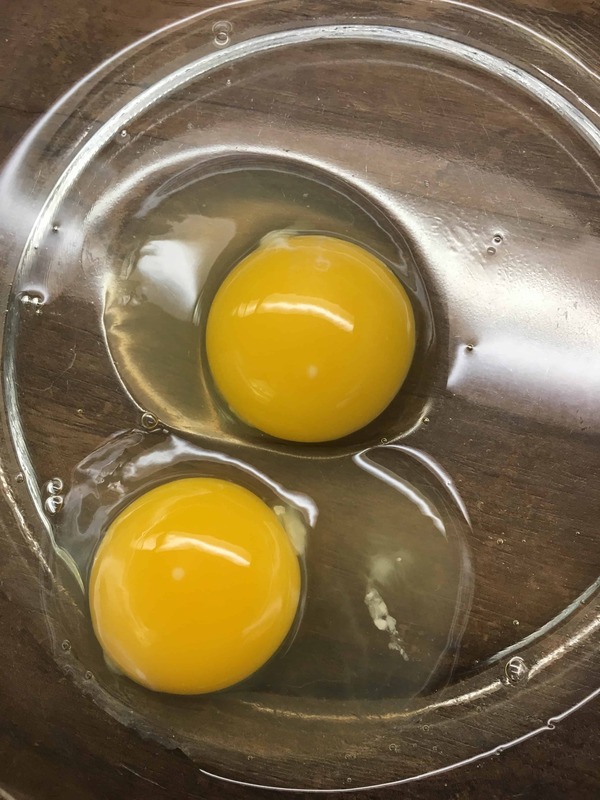 Add the sugar, water, and egg yolk. Stir constantly for 3 to 4 minutes over medium-low heat until thick. 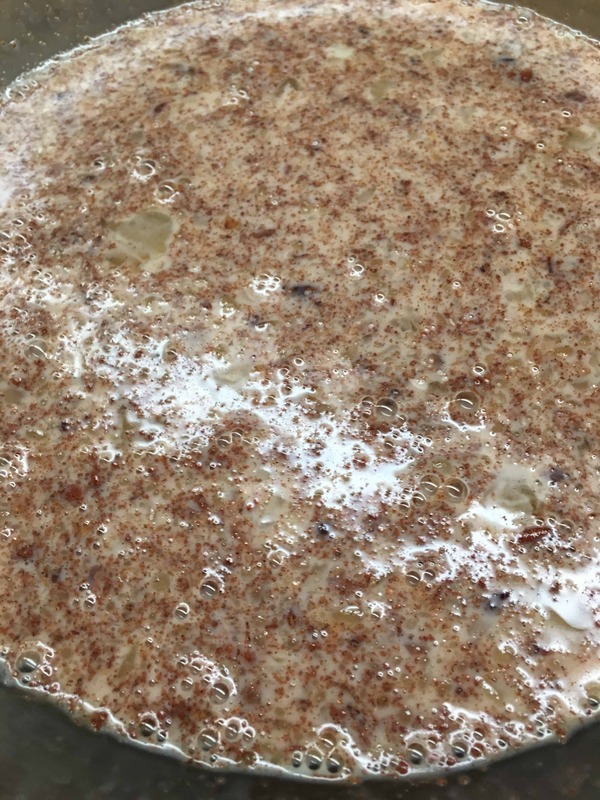 Pour over the bread pudding. 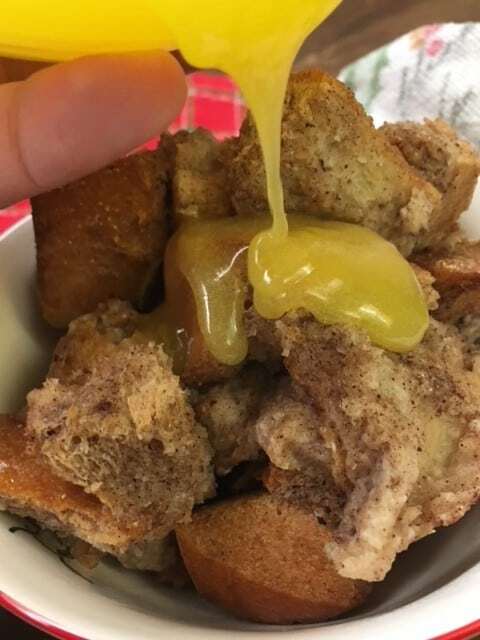 Cinnamon spiced bread pudding with butter sauce is an easy and inexpensive dessert to make for the holidays. It takes about 5 minutes to get it ready and into the oven. 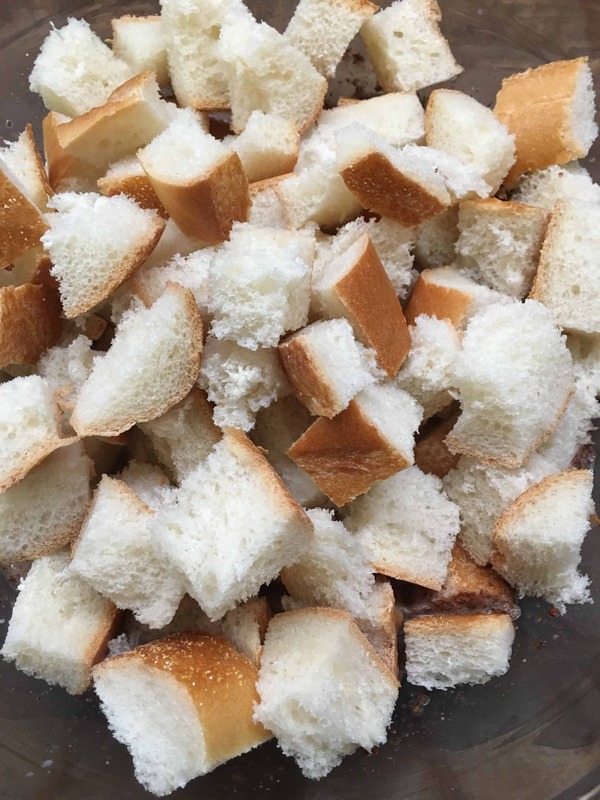 Cut the bread into cubed pieces. 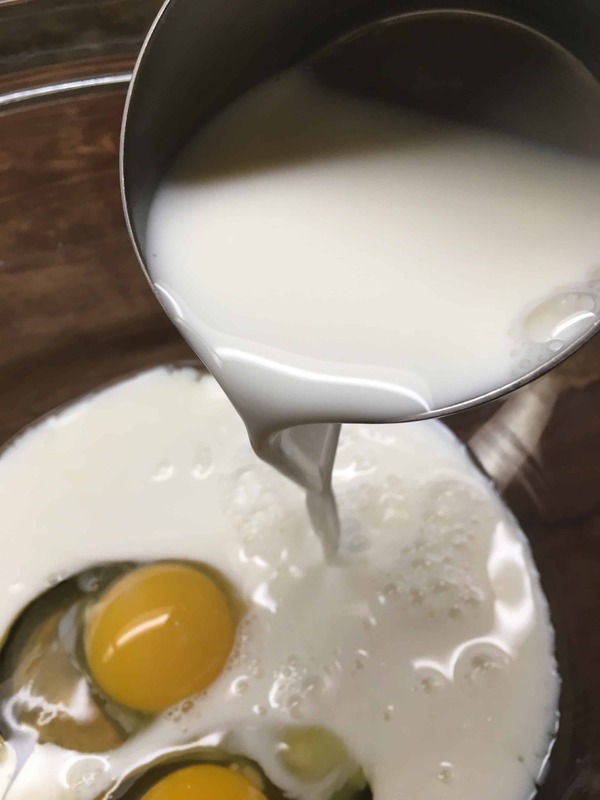 In a large bowl, add the eggs, milk, and sugar and mix well. Add the butter, cinnamon, nutmeg, cloves, salt, and vanilla and mix well with a whisk. Add the bread and toss gently to cover. 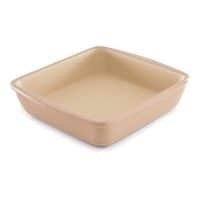 Add to a greased 8" x 8" casserole dish. 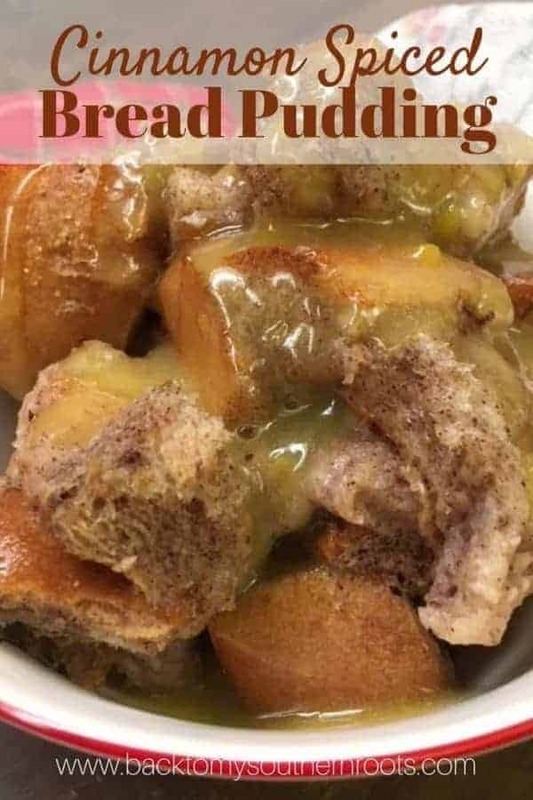 I love a delicious bread pudding, this looks so fantastic! Thanks so much for sharing your special talent with us at Full Plate Thursday and may you have a safe & prosperous new year!